This post is Sponsored by Handsome Brook Eggs and part of the Mom It Forward Influencer Network. I hear this question all the time! Do you need a quick and easy breakfast recipe to make during the holidays? I’m one of those people that don’t want to be spending all my time in the kitchen while everyone else is visiting with each other. No way, I want to sit back and enjoy my family and friends TOO! So this year I’m getting prepared and planning meals I can make quickly, and I can sit back with everyone else. Also, my kids are home for two weeks, and I’m not going to be SUPERMOM and make their breakfast every day so having items they can heat up will work. 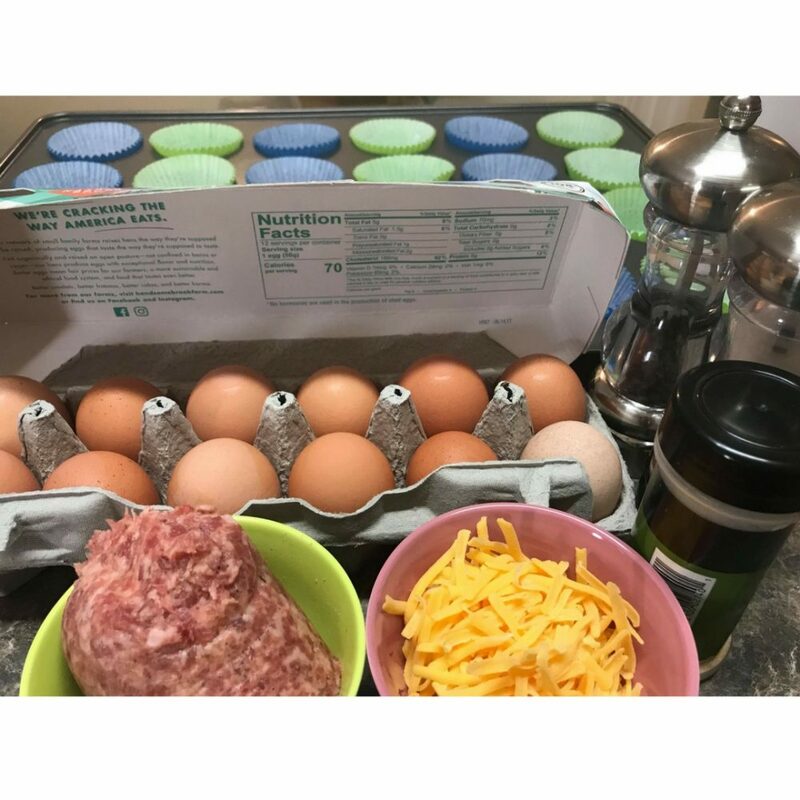 I found an easy breakfast recipe, but I’m tweaking it a bit to make it my own- well my kids they don’t like veggies, so I’m not adding the pepper or onions. But first, let’s talk about the main ingredient…EGGS! Not all eggs are created the same, so I make sure I pick up eggs I know are what I want to feed my family. Handsome Brook Farm Eggs are pasture-raised organic eggs come from organic-fed, pasture raised hens. These eggs are something special indeed! The golden-orange yolk and rich, delicious flavor is exactly what I want to cook for my family. 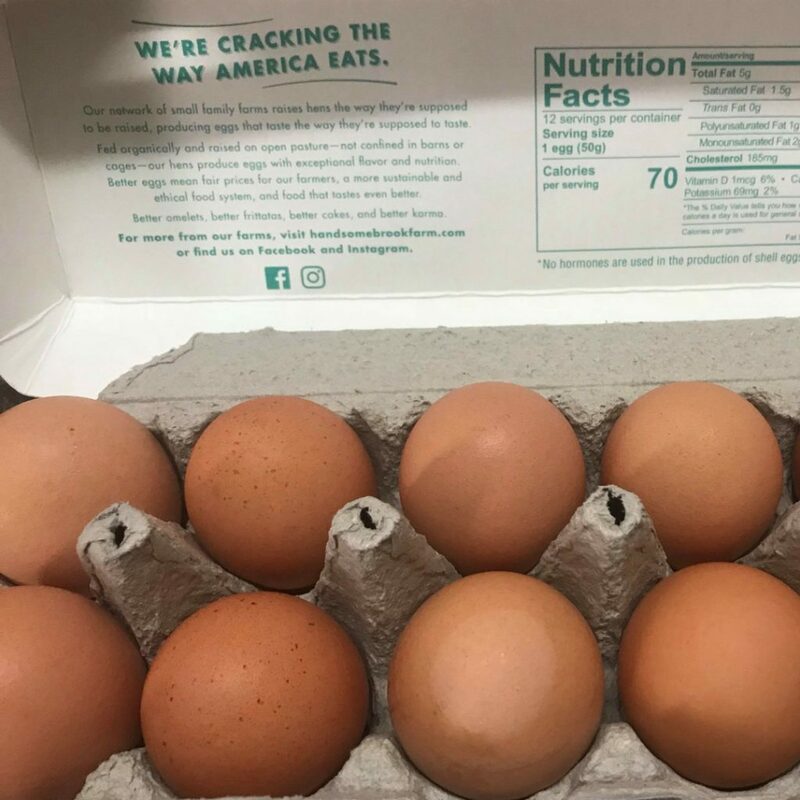 Handsome Brook Farm hens are on an all-natural diet, freedom forage outdoors, in a network of small family farms with smaller flocks which allow for space, attention, and love the hens need to produce the best quality eggs. Handsome Brook Farm Eggs are available nationally at select retailers- I pick up my eggs at my local Publix and online. We all know that eggs are an excellent source of protein and beneficial vitamins and nutrients — but all eggs are not created equal. So true…my husband came home with eggs from the liquor store the other, and I threw them OUT! 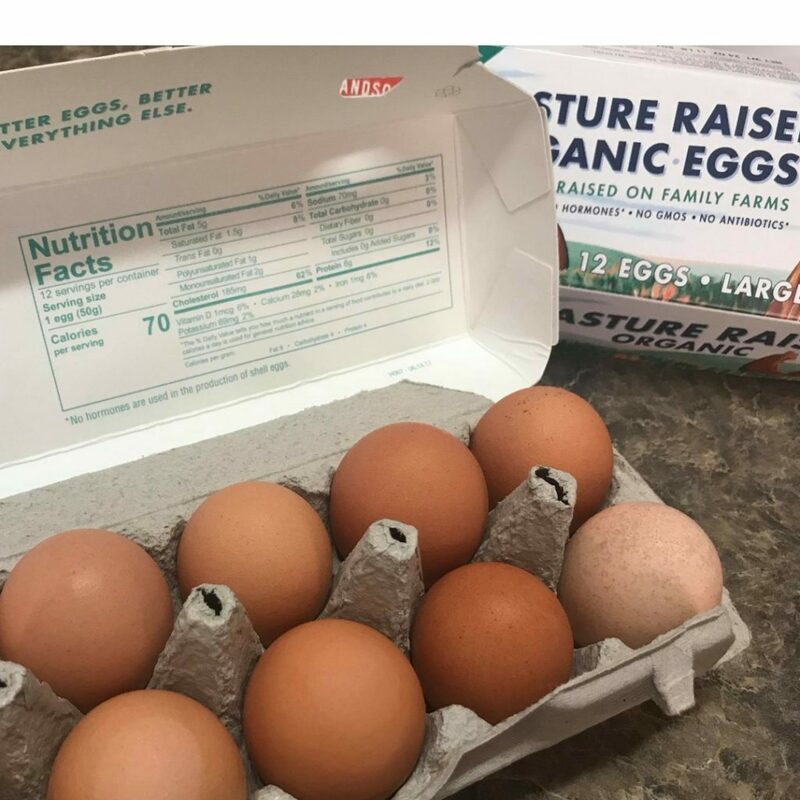 I just shook my head and told him you couldn’t just buy generic eggs; I need to know that they are nutritious and are pasture raised. Handsome Brook eggs are certified pasture-raised eggs which mean the hens are raised on grassy pastures with room to roam free, forage and get plenty of sunshine and fresh air. Studies show that these eggs are more nutritious than any other type of eggs. 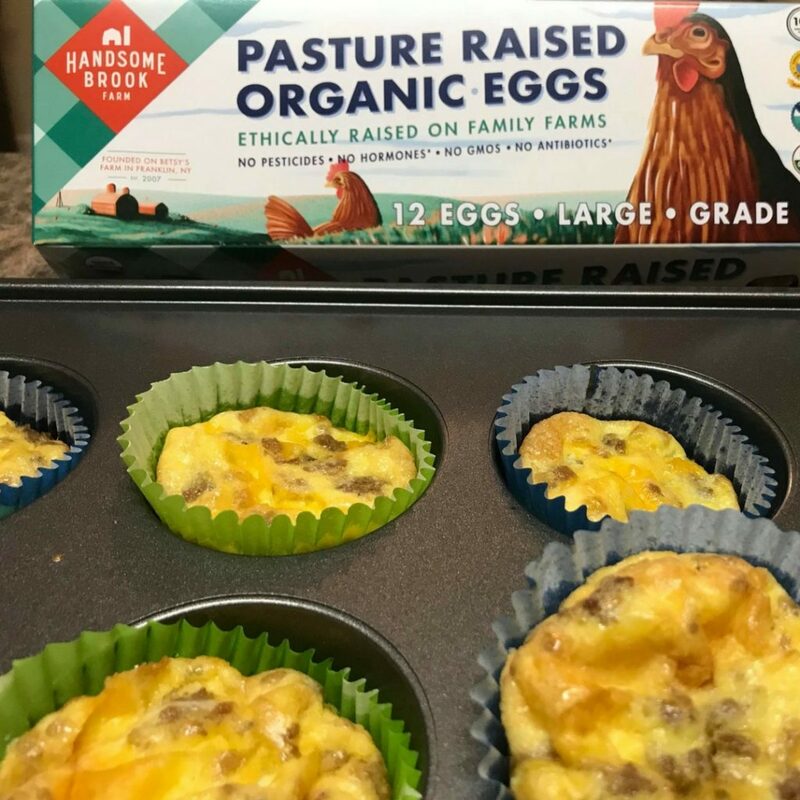 In fact, pasture raised eggs, like Handsome Brook Farm eggs, can contain two times more Omega 3’s, 38% more vitamin A and 23% vitamin E than conventionally raised eggs – making them a super nutritious option at any meal. So that’s is why I feed my family Handsome Brook Farm eggs plus the taste is amazing! A wonderful brunch or on the go breakfast for busy families. Preheat oven to 350 degrees F (175 degrees C). Lightly grease 12 muffin cups, or line with paper muffin liners. Heat a large skillet over medium-high heat and stir in sausage; cook and stir until sausage is crumbly, evenly browned, and no longer pink, 10 to 15 minutes; drain. Beat eggs in a large bowl. Stir in salt, pepper, and garlic powder. Mix in sausage and Cheddar cheese. 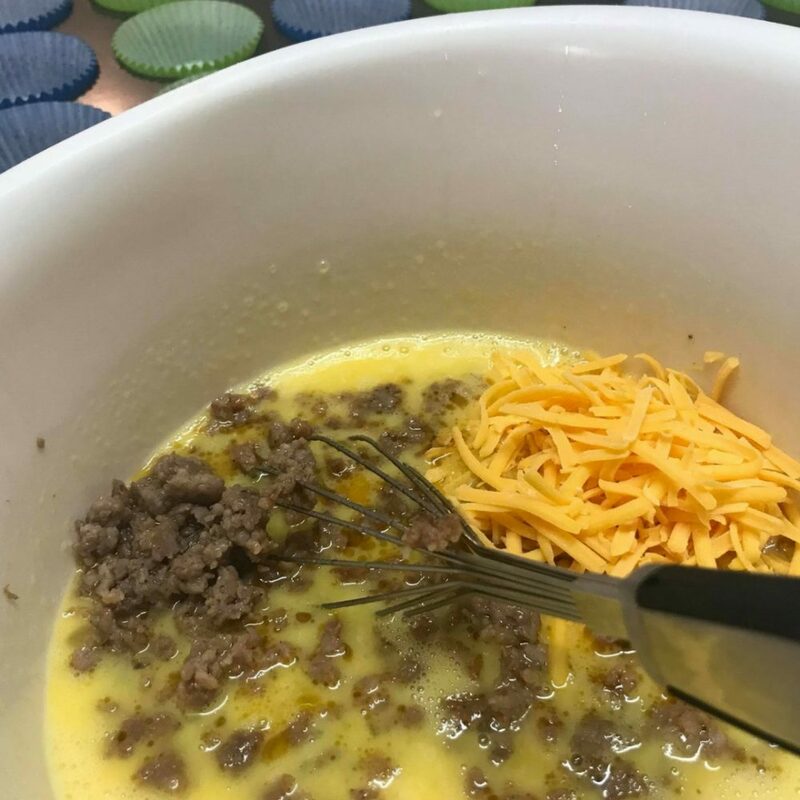 Spoon by 1/3 cupfuls into muffin cups. Please try this recipe when you need that perfect easy breakfast recipe. 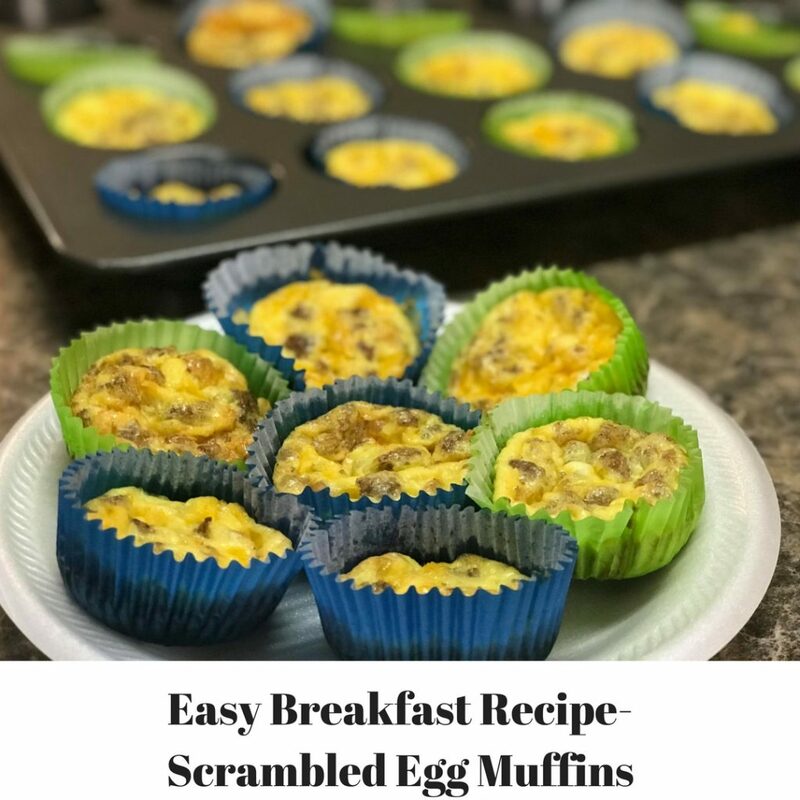 Love the idea of making these for a quick and easy breakfast! I also don’t have the time (or energy) to prepare individuals meals every morning. This seems like a sane solution to get the kids fed and ready for school. I love doing this! Have never done it with the cups before though. I bet that makes everything easier! Super delicious. And especially good heated between two English muffins!! I sneak a little spinach in too to help me get my veggies and sometimes will do just egg whites. Thank you for this recipe! You weren’t kidding about it being easy! 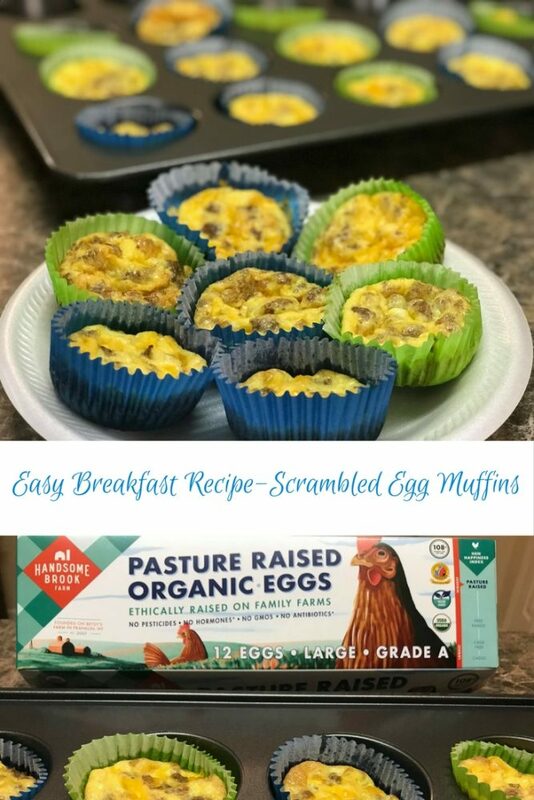 This recipe is a must try and I really like that it’s made into small muffins that people can easily help themselves to. 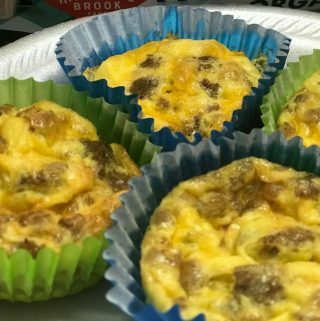 These scrambled egg muffins look so delicious and really tempting. I will definitely try to make this recipe. I am sure that my twins will love this for there breakfast. Perfect easy recipe for anytime. Great idea to save time in the morning and grab a good breakfast. I love to start my day right so love yoru recipe idea. And your recipe is looking so much delicious and easy to make. I definitely gonna try this at my home. That looks so very good. I am all about an easy breakfast – especially on Christmas morning. These look delicious and easy. I like the idea that they are convenient and quick to make.